If this service or information to the user in any case caused damage to one’s property, physical, psychological, reputational, legal, or other loss or damage, www.Doctor-pro.com and its person in charge, manager, staff, owners, agents, successors, or maintenance personnel, will not bear any responsibility by any means. www.Doctor-pro.com is not liable for any message (http://www.Doctor-pro.com) on any responsibility for the views, comments, suggestions, negative price and trading information, in addition, this website also not responsible for any statements or information published by members of our website. Nor to any outbound links, database, electronic bulletin boards, FTP, or any messages in the node of which our website offers, suggestions, comments, ideas or information. Our website is not liable for any damages of any hardware and software and indirectly connected to this website's computers, communications equipment, network or data loss, and any electronic malfunction. 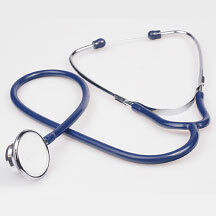 (1) The use of the content causes or may cause any infringement of www.Doctor-pro.com or any copyright, trademark, patent or other intellectual property rights of third parties. (3) Usage of content involves slander, insult or defamation or may be libelous, insulting or defamatory to www.Doctor-pro.com or any third party. (5) Usage of contents violated or involved possible violations of www.Doctor-pro.com or any proprietary rights of any third party. (6) The use of the content of www.Doctor-pro.com or any third party caused or could cause any damage, harm or adverse. (9) The use the content for uploading contained or may contain or any third party may damage www.Doctor-pro.com computer viruses, corrupted file archives.